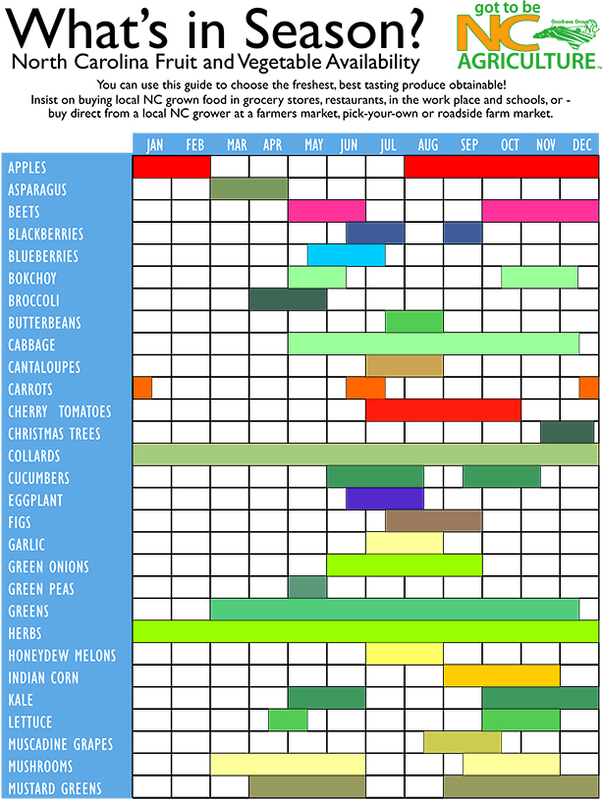 Asparagus, collards, greens, herbs, lettuce, mushrooms, peanuts, radishes, snow pea tips, spinach, and sweet potatoes are currently in season in North Carolina. Eating fresh fruits and vegetables is an essential part of our daily diet and overall weight management. Buying locally grown food is not only good for the environment, it is also fruitful for the economy and your health. The key word in describing the health benefit of locally grown is “fresh.” Since the produce is local and in season, it is fresher than produce that has been shipped from other countries. Fresher produce means its more flavorful and more nutritious. Fruits and vegetables lose their optimal nutritional value as soon as they are picked. When picked, Vitamins such as C, E, A, and some B vitamins begin to deteriorate and thus decrease. 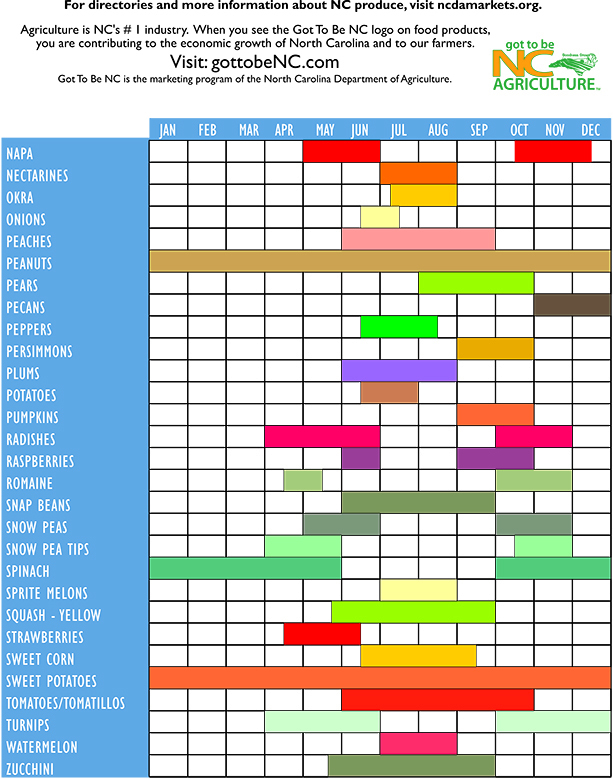 Given the importance of fresh and local produce, a new availability chart has been released to help you guide your purchasing decisions throughout the year. For a printable version of this chart please visit www.ncagr.gov.